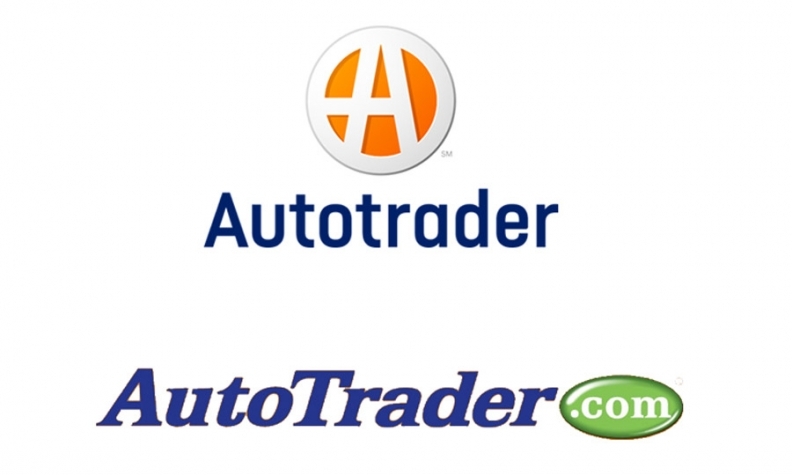 The new, top, and old AutoTrader, bottom, logos. AutoTrader.com is changing its name and logo Monday as part of operational moves aimed at rebranding itself as a broad-line digital marketing company, rather than primarily a vehicle inventory listing site. AutoTrader, a unit of Cox Automotive, of Atlanta, has dropped the “dotcom” from its name and logo. AutoTrader.com will become Autotrader. The company’s new logo intertwines the letters A and T, which is meant to symbolize the road ahead for the company. The new Autotrader, President Jared Rowe said Friday, “is in the midst of a strategic pivot” to show dealers and consumers the progress it has made in adding features and content to its traditional site where shoppers can find cars and view advertising. In November, Cox Automotive shifted its Haystak digital marketing company from under software company VinSolutions into Autotrader, Rowe said. Inside Autotrader, Haystak can use data from the millions of visitors that the site and sister site KBB.com get monthly to help direct dealership digital advertising spend, he said. Haystak manages digital ad budgets for dealerships, helping them determine the best mix of advertising on third-party sites such as Autotrader, search engines such as Google, social media platform Facebook and ad retargeting. VinSolutions provides websites and customer relationship management software to dealerships. Autotrader wants to get the word out that it offers a full line of digital marketing products and services, Rowe said. “This new brand identity reinforces the transformation under way in our business,” he said.